The SR Remote Dual Switch provides remote activation for any SureFire Weapon Light with a switch socket. Two switches—a momentary-on pressure pad switch and a constant-on pushbutton switch—are integrated with a snap-on clamp for easy attachment to your firearm's Picatinny rail forend. When choosing an SR switch model, the two digits after the "SR" indicate the cable length in inches. 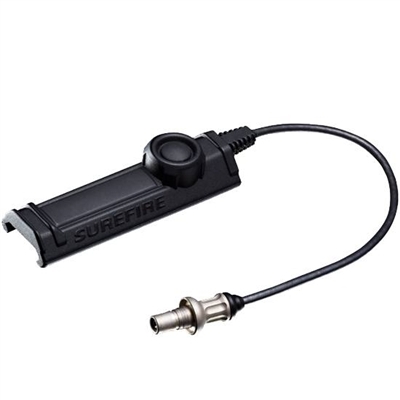 For example the SR07 has a 7-inch cable. The seven-inch cable length works with most rifle/carbine applications.